The holidays, the traditions, the carbs…as 2012 nears its end, I look at my iCalendar and realize I am over-scheduled, over-whelmed, and over-indulged. However, I wouldn’t have it any other way. In the grand scheme of things, complaining about a lack of snow is trivial when there are individuals in my own community who don’t have a roof over their head or enough food to fill their stomachs. This Holiday Season, I encourage you to give back, like Red Roof Gives Back. I encourage you to step outside your comfort zone, and help a person in need. A warm meal and smile go a long way, you’d be surprised. And as a special treat, Red Roof will give back to you! To help lighten the load of your holiday shopping this season, Red Roof will be announcing the winners of our Holiday Shopping Contest via our Facebook page. Five lucky fans will be chosen to win a $100 Gift Card to Amazon.com – and as an added bonus, we are opening the entry for the final Season of Giving wrap-up, a $500 Gift Card to Amazon.com! 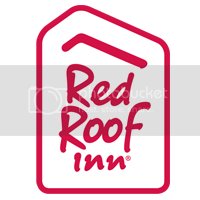 Make sure to “like” Red Roof on Facebook today for your chance to win!